I attended a Jewish private school the second half of first grade through fourth. 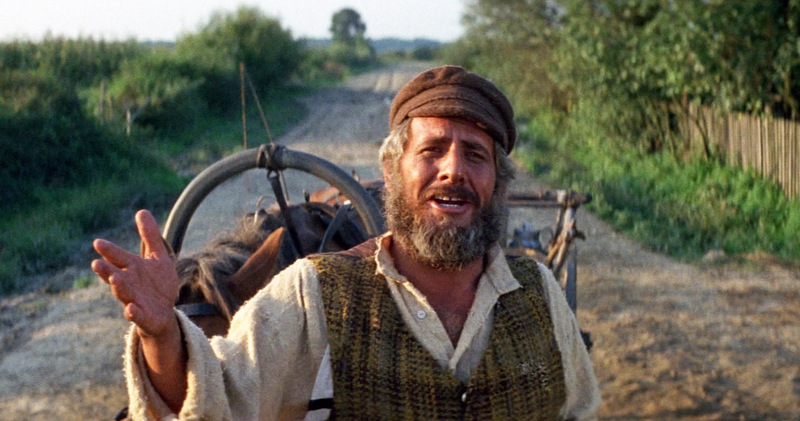 While my mother’s family celebrated the various Jewish holidays and proudly counted Fiddler on the Roof as one of their first VHS purchases, we weren’t excessively religious. You may ask, why aren’t we very religious now? That I can tell you in one word: Tradition! In addition to your “normal” school subjects like Math, Science and Social Studies, we would also have morning prayers (in Hebrew – or at least my best sound-alike gibberish). On occasion, our class would get a visit from the rabbi who would share stories from the Torah and answer our questions. Which brings us to one particular memory: our first grade class sat on the library floor while the rabbi led us in a little informal story time and discussion. I really wish I could remember his name…he wore a kippah, tallit, glasses and beard if that helps narrow it down. It’s important that you remember that this was INFORMAL. The laugh felt great and I experienced a relatively safe version of a class clown’s pride – just the right amount of disruptive. I stayed quiet for the rest of the class, and I couldn’t wait to tell my mom how I rocked it when she picked me up from school. “The best thing happened today,” I began. When I got to the “broken record” part, my mother slammed on the brakes. After a lengthy conversation about respect, religion and rudeness, my mother made me promise to apologize to the rabbi the next day. I tried telling her that we don’t see the rabbi like that everyday. She said it didn’t matter…that I needed to find him and say I was sorry. He laughed though, I tried to tell her. She wouldn’t hear it. In one confusing two-minute conversation, I felt my pride dissolve into shame. The nice man with the beard who told us jokes and stories had, in my mind, morphed into someone I was supposed to fear. The day before, I would have happily found him in the halls and told him anything. Slouching in my mom’s backseat, however, I was afraid to say another word to the man. I didn’t apologize, but not out of defiance. I was too scared to. That night my mother asked me if I did, and I told her yes just to make her happy. She then suckerpunched me with the news that she already contacted the rabbi to make sure I talked with him and knew that I hadn’t. So I wasn’t punished for the joke; I was punished for lying about apologizing. Maybe most importantly: kids have a different way of seeing people and situations. They can be smart but not the best communicators just yet. And as naive as it may sound, there are times when it would just be nice walking through life without knowing I was SUPPOSED to be embarrassed or afraid. Y’know, just happy and innocent. Like I was in a garden or something. This is the kind of stuff I need to hear from time to time. Im not the most lenient parent, but these types of stories make me reconsider. Thanks, Aaron!